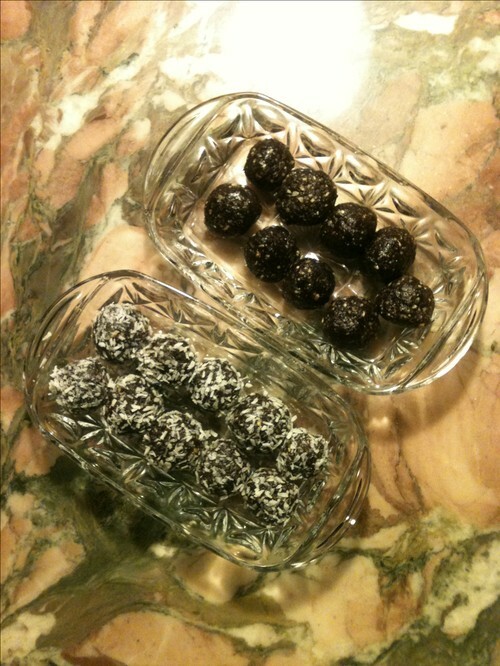 Here is a simple recipe for an easy raw snack for those with a sweet tooth. I make these occasionally when I want to have a sweet treat when watching a movie or as just as a simple and easy dessert. It's easy, jummy and guilt free! You need a food processor to make these balls.